Language Log » Set your recorders now! I'm looking forward to finally seeing the film. I'm also looking forward to David Harrison's upcoming visit to my corner of Language Log Plaza on April 23 and 24. If you find yourself in the San Diego area around that time, come on by. I have to add that I was a bit disappointed with Scott Simon's interview with David Harrison and Greg Anderson this morning. After a fairly good introduction and a good first couple of questions (asking what first brought David and Greg together, and what happens when a language dies), Scott decides to lighten things up a bit and chuckles to himself as he says: "May I ask, each of you in turn: what's the strangest language you think you've ever heard?" Greg (rather wisely) prompts David to go first, and David avoids immediately taking the bait by saying, "Well, they're all strange from a certain point of view, and English is strange, but…" — at which point Scott interjects: "English can be particularly strange." (David: "It can be, indeed.") Things devolve into a discussion of "strange language sounds", the idea that some technical linguistics terms sound obscene, and so on — it gets serious and picks up again towards the end, but Scott can't resist closing with more chuckles and another reference to the language Birhor (sounds like "beer whore"). Sigh. "And each time a language disappears, a part of history — a subtle way of thinking — vanishes too." Sounds pretty Sapir-Whorfian to me. UNESCO has just published the interactive online version of the third edition of its Atlas of the World's Languages in Danger. See http://www.unesco.org/culture/ich/index.php?lg=EN&pg=00139 . I heard that interview and was similarly disappointed; I very much look forward to the broadcast! Correct me if I'm wrong, but they referred to the George Carlin comment on the bilabial fricative, which, as I understand it, is a Bronx cheer. I thought a bilabial fricative was, e.g., the Spanish intervocalic B or V for the voiced version or the Japanese F for the unvoiced version. The Bronx cheer is more a bilabial trill. Is this not so? @ Faldone: it may help to follow the link I provided in the post. I go to the University of New Mexico and have seen the documentary already; found myself disappointed on many counts. It seems to be more of a humanitarian piece than a scholarly linguistic film: it jumps all over the place, focuses on too many languages, the time sequence is all screwed up, etc. etc. There are two parts of the documentary where it shows an animal being crushed, and it seems that a lot of the good infmormation was left out. For instance, India is in there, but only barely, and it only has two or three examples of the linguistic divergences there. They spent more time talking about accomodations in India than the languages themselves. Maybe I am too picky, but I just thought that there really wasn't anything new in the documentary, nor was it as clean cut or educational for the general public as I would have liked it to have been. I must commend you on your achievement. It sounds as though you were able to listen to an entire interview segment with Scott Simon. Perhaps you asked a friend to tie you to a large piece of furniture to reduce the chance of damage to fragile household objects. I heard the first minute or so, but had to turn it off when Mr. Simon started his gurgling. Thanks for spreading the word about the film. Thanks, Eric. I have a tendency not to follow links since I am on dialup. My problem was not so much the mention of George Carlin nor Scott Simon's use of the term bilabial fricative but in the linguist's not so much as mentioning that bilabial fricative wasn't the correct term. He needn't have belabored the point, just a casual mention would have been fine. I'm glad to know that my analysis was correct even without my having checked with the Gold Standard of intertubes research. 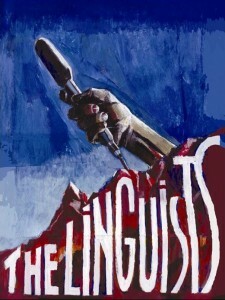 I am not a linguist, so I might be able to give a perspective on the interview, which I heard as well. From a lay person's point of view: 1., the film sounded intriguing, yet with the potential for the pitfalls that Havah brings up; 2., Mr. Simon is not a linguist. I thought his questions were more insightful than expected from average interviewer without a linguistic background. On the issue of the bilabial fricative, I must have missed the reference to George Carlin. I simply heard the innuendos that came from the phrase itself. I guess it's like interviews with librarians, which often fall into trivialities such as overdue library fines. i am forever indebted to a.u.e. (iirc) for an excellent joke about the quadri-labial click and the labio-manual trill. When is this documentary scheduled to be broadcast? I can't find it ANYWHERE on the PBS website. @ Diane — you will need to check your local listings (which you can usually get to by clicking on "TV Schedule" on the PBS website). It is scheduled to air on many if not most stations tomorrow (Thursday) night, at either 10pm or 11pm. Such a great movie!!! 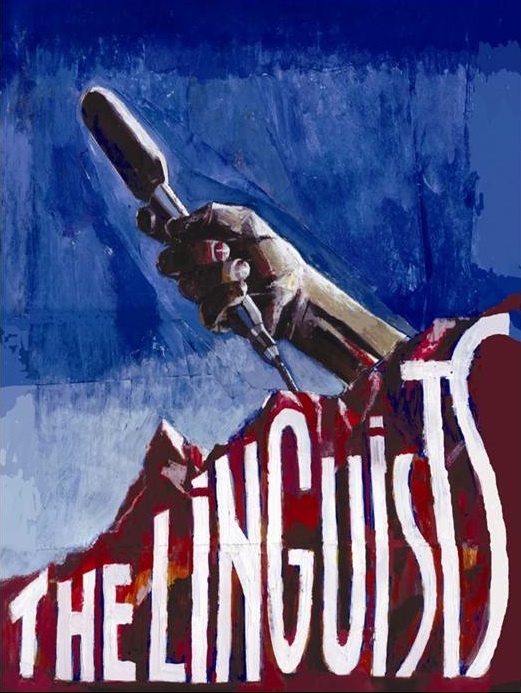 Highly recommended for anyone who loves languages and linguistics. I saw it at the Darkside Cinema in Corvallis, Oregon a couple of times when it played there. Can't say enough good things about the film. Very well done.